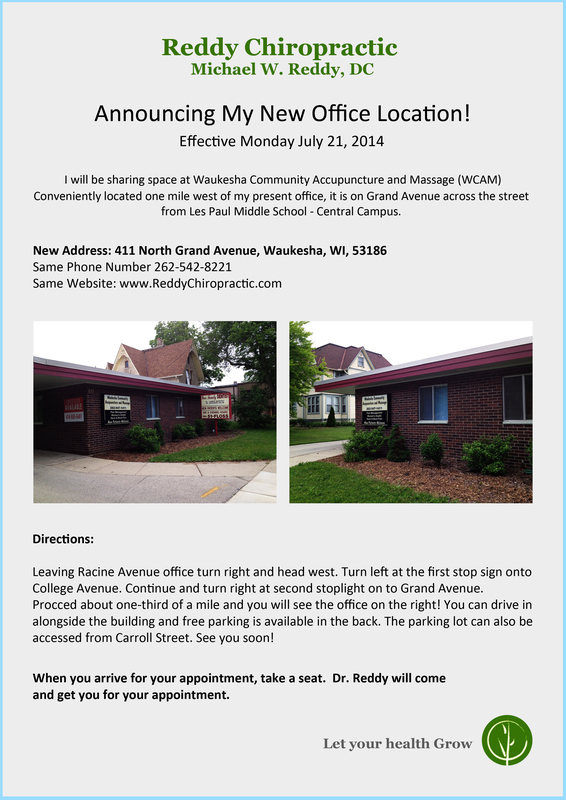 Effective July 21st Dr. Reddy will no longer be practicing on Racine Avenue. He will be sharıng space at Waukesha Community Accupuncture and Massage located on Grand Avenue, near the public library. Please reference the flyer for specific details and help spread the word.